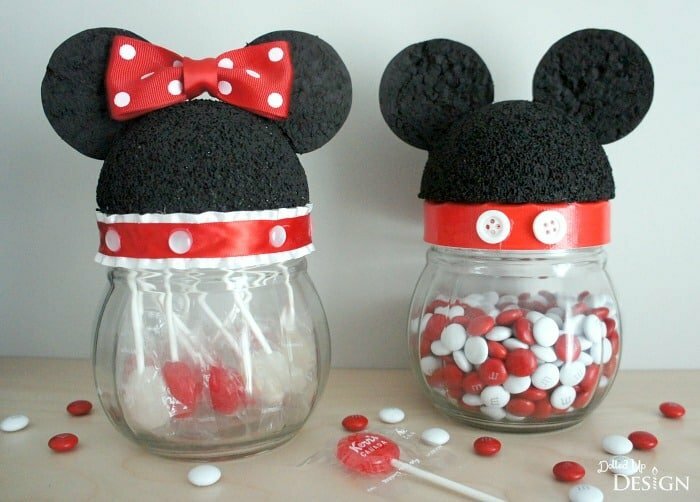 This Mickey and Minnie Mouse Ear Jars tutorial is courtesy of our contributor Chantelle of Dolled Up Design..Are you looking for a cute way to display treats at your next Mickey or Minnie Mouse themed party? How about a storage idea for the extra elastics and paperclips at your desk that show off your love of all things Disney? 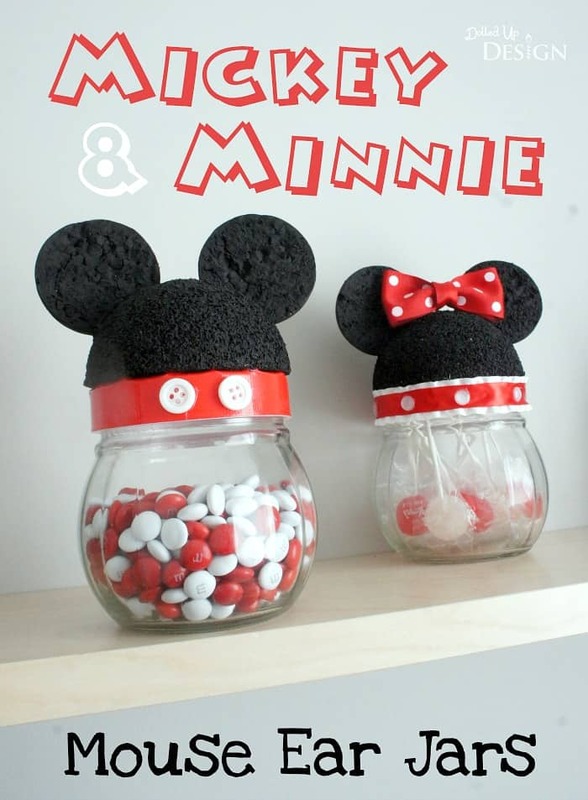 My DIY Mickey and Minnie Mouse ear jars can be used in so many different ways and are a fun addition on any shelf, desk or table top. 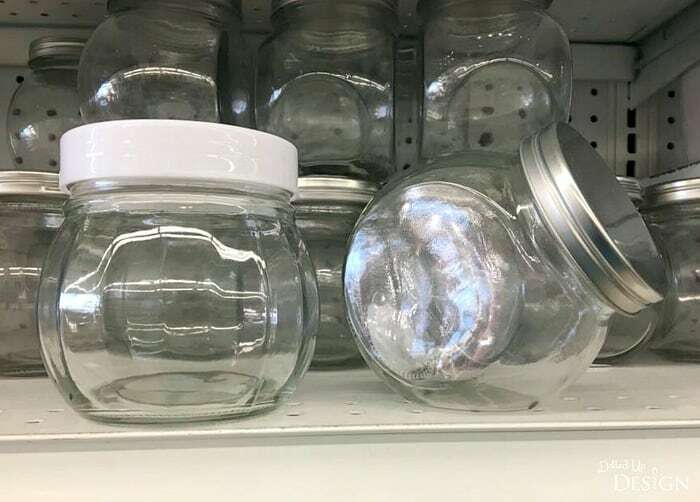 To make my jars, I started with inexpensive glass jars I found at Dollar Tree. 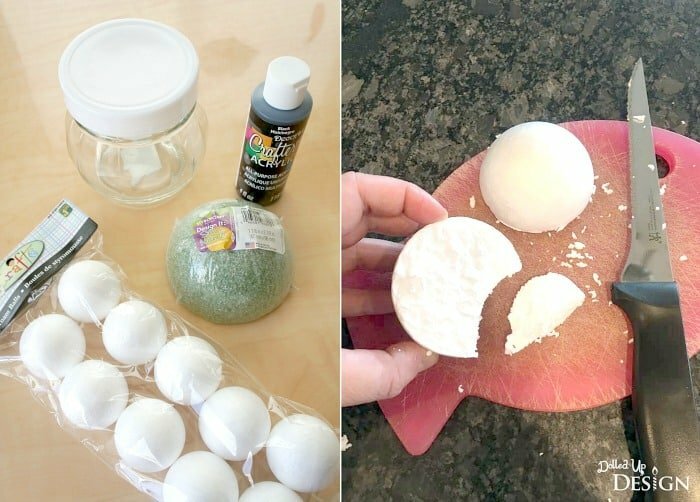 You will want something with a fairly large lid and opening to glue your foam balls onto. For the head portion, I used a half sphere (dome shaped) foam ball with a 3 7/8″ diameter. This was found in the floral section of Walmart. The ears were cut from 1.75” styrofoam balls. Using a serrated knife, I carefully sliced the balls in half, then cut out a small curved section so they sat snug against the head. Black acrylic paint was used to coat all the foam balls, and hot glue was then used to attach them together in the iconic Mickey head shape. To decorate, I used odds and ends from my craft supply cupboard at home. Red Duct tape covered the lid of my Mickey Mouse version and two white buttons were glued to the front to look like his pants. For the Minnie Mouse version, I covered the lid in frilly white lace and red ribbon, then glued on accent buttons to create the polka dots. I also got lucky and already had some red polka dot ribbon so that got folded and glued to create Minnie’s bow on the top of her head. I went with the traditional red and white color accents for my versions, but feel free to get creative and customize yours however you would like. 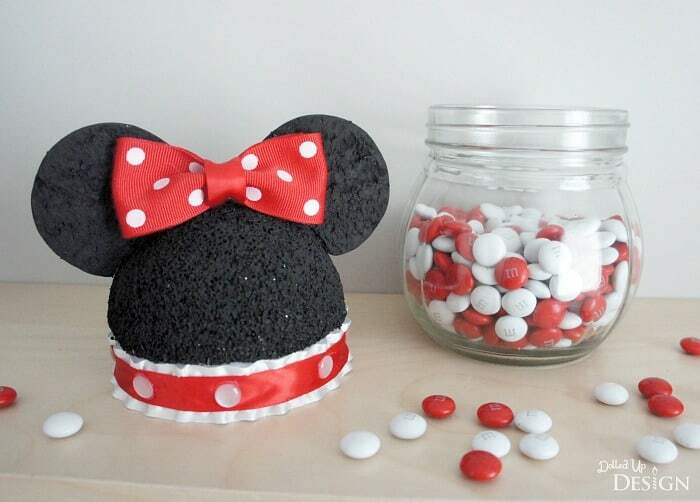 Minnie would look great done in a pink or blue, and Mickey would look great with a different tape or button color. 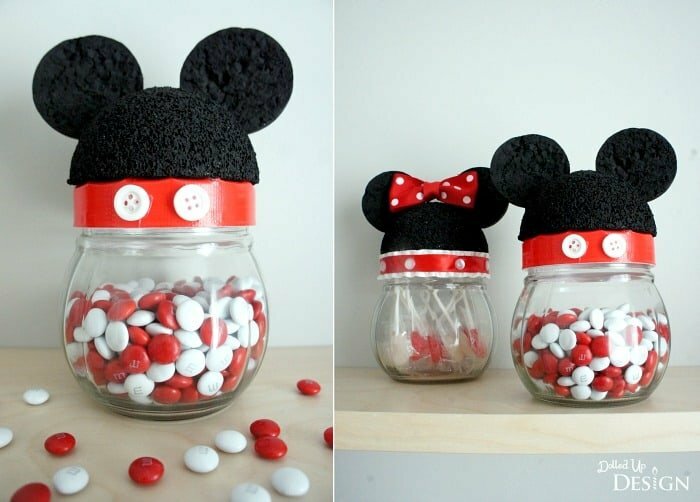 Once our red and white M&M’s and lollipops are gone, I will go back to using our jars for storing the money we are saving up for our Walt Disney World trip. 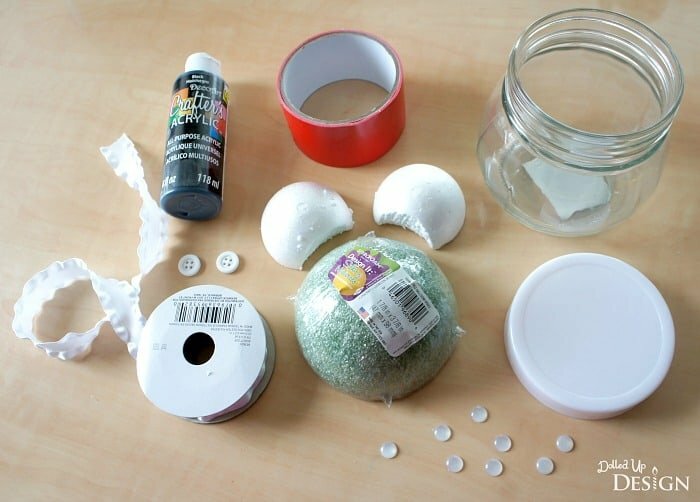 There are so many uses for these cute jars, so go ahead and get crafting!